We are happy to announce that chess pieces will always be available inside the Pawtuxet Village Little Free Library located directly next to the chess tables. 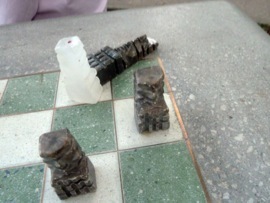 So if you are itching for a game of chess but do not have pieces, feel free to use ours. Oh, and please RETURN our pieces, so others can use them the next time.